Leading Exporter of alsta hydrogel, nano silver hydrogen peroxide, silver hydrogen peroxide and hi spread adjuvants from Hosur. LSTA® HYDROGEL is a potassium based cross linking hydrogel polymer that can potentially influence soil permeability, density, structure, texture, evaporation and infiltration rate of water through the soil. ALSTA® HYDROGEL particularly reduces the irrigation frequency and compaction tendency, it stop erosion and water runoff and increase the soil aeration and microbial activity.In arid areas, the use of ALSTA® HYDROGEL in the sandy soil (macro-porous medium) increases the water-holding capacity, and significantly improves the quality of plants. It slowly releases this absorbed water to the plants when needed. ALSTA® HYDROGEL particles may be taken as “mini-water reservoirs” in soil. Water will be used from these reservoirs upon the root demand through osmotic pressure difference. ALSTA® HYDROGEL also acts as a controlled release system by favoring the uptake of some nutrient elements, holding them tightly, and delaying their dissolution. Consequently, the plant can still access some of the fertilizers, resulting in improved growth and performance rates. ALSTA® HYDROGEL can also be used as retaining material in the form of a seed additive (to aid in germination and seedling establishment), seed coating, root dips, and for immobilizing plant growth regulator or protecting agents for controlled release. 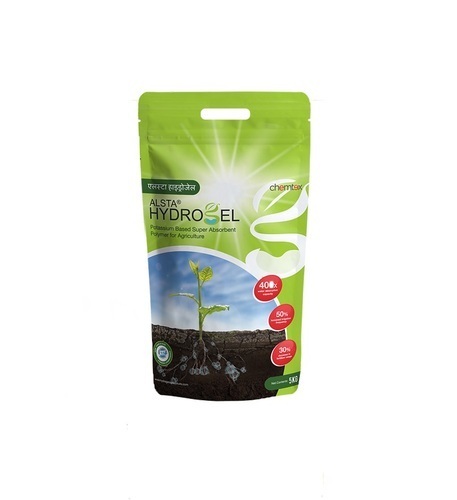 Bare root Dipping: To prevent the dessication of the roots of seedlings during transplanting or transportation, 1kg of ALSTA® HYDROGEL is mixed in 150-200 liters of water with/without an additional fungicide/bactericide, and allowing it to stand for 15 minutes. Arboriculture: ALSTA® HYDROGEL reduces mortality rate due to transplantation shocks and enhances root development. A hole is dug about three times the volume of the root, at the plantation site, and 1-2kgs of ALSTA® HYDROGEL per m3 of soil is mixed. After hydration, the products stabilizes the plant. Common Plants and trees such as vegetable plantation, corn, sugarcane, etc: 5-3.0kgs of ALSTA® HYDROGEL per acre along with the above arboriculture practice improves and promotes seedling growth. Young Plants: 10-20gms of ALSTA® HYDROGEL per tree is mixed with the soil matrix per tree. Fully grown trees such as mango, teak, etc: 40 -100gms of ALSTA® HYDROGEL per tree is mixed with the soil matrix. Hydroponics: ALSTA® HYDROGEL reduces the water stress when mixed with substrate is mixed. For less permeable once like peat or composts, 1-2kgs of ALSTA® HYDROGEL per m3 of the substrate is mixed. Increases water holding capacity of the soil thereby reducing irrigation frequency. Its limits water and nutrient loss through soil leaching. Improves the physical properties of soil by enhancing aeration. No Rinse product (Does not require rinsing with water)Silver Hydrogen Peroxide has a wide range of applications starting from drinking water sanitation, food and beverage industry disinfection, dairy farms, hospitals to agriculture and field sanitation. Hydrogen Peroxide stabilized with the use of silver salts like silver nitrate or silver Nano particles; this stabilized blend of hydrogen peroxide and silver, together known as silver peroxide proves itself as a potent and overly powerful biocide effective on a wide range of microorganisms. 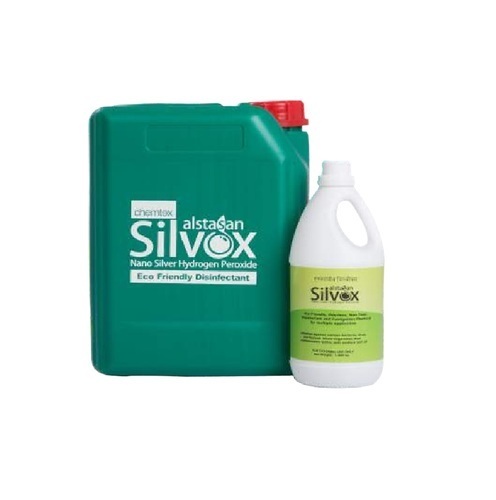 Silver Peroxide is a multipurpose disinfectant with an extensive variety of uses/ applications. HI Spread is an organosilicone based super-spreader designed specifically for the application of contact and systemic crop protection products. 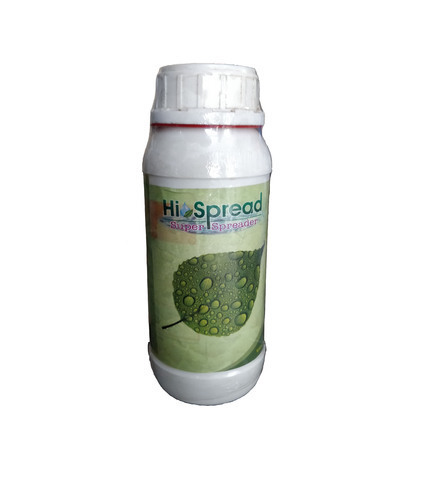 HI Spread is a blend of organosilicon and other organic fluids formulated to not only give super - spreading properties on plant foliage ,but also to improve the retention and deposition of spray droplets on all plant surfaces. The use of lower water rates allows for cost savings(water,fuel,manpower) & increased operational flexibility(more acres sprayed per day, improved spray timing)while maintaining or increasing deposition. As applicators are now able to spray % times more acreage per fill up, the time needed to spray a piece of property is drastically reduced allowing much more timely application of very important sprays. The better cover on the plant surface. Better deposition of chemical on the plant for the same chemical input. Better disease and pest control due to increased coverage and deposition. Better flexibility in the sprayer and manpower utilization. More acres sprayed per fill up saving water and time for fill up. More accurate spray timing due to increased acreage sprayed per day.